Introducing the smoothest, most luxurious carpet available. Only Tigressa Cherish offers a satiny, smooth feel combined with all of the high-performance features you'd expect from the finest nylon carpet on the market today. Crafted from the new generation of Type 6 nylon for extraordinary softness and durability. Made with the finest denier fiber, with thousands of micro strands per square inch for luxurious and plush softness. Available in a rich palette of color options with inspiration drawn directly from nature. 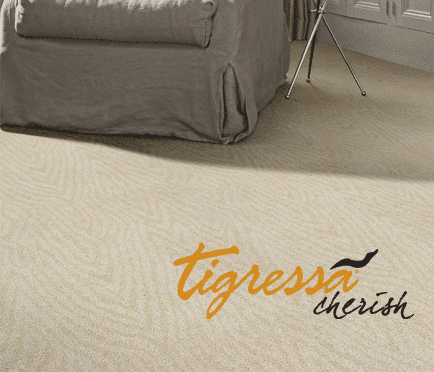 Visit us today to see and feel Tigressa Cherish, a carpet so soft, so smooth, so beautiful, you'll cherish it for years to come. 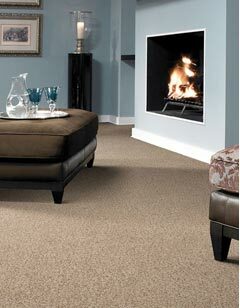 The smoothest, most luxurious nylon carpet available with fibers that are 75% finer than other soft carpets. Won't lose its color. Its fibers are specially developed to trap color so your carpet will not fade over time. Crafted from recycled resources and can be renewed in the future as well. Are you looking for a luxuriously soft carpet that offers ultimate comfort and style? But also want exceptional strength and durablility for long-term wear? Your hunt for the softer, stronger carpet is over. Advanced engineering for a ultra-soft touch and smooth appearance. Dense fibers for extraordinary durability. Special manufacturing techniques that make it an eco-friendly flooring option. Visit us today to see, touch and feel the Tigressa difference for yourself. Precision-engineered, high-tensile filaments are half the size of a human hair for ultra-soft texture. More filaments per square inch spread out daily abuse over more individual fibers. Made from Nylon 6 fibers which can be recycled over and over again. 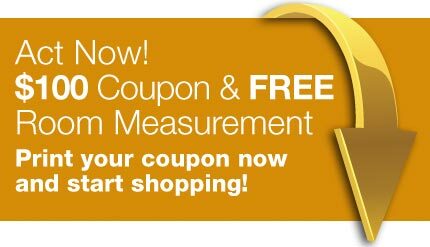 Call to schedule your free, no-obligation room measure or click here. Since arriving in the marketplace, Tigressá® has become one of the most popular flooring choices available. 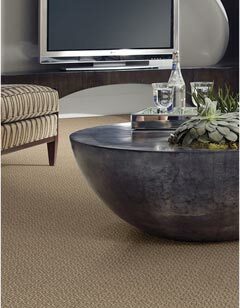 It has everything you could want in a carpet – softness, strength, comfort and resilience. Tigressá® is crafted with next-generation nylon to create a plush surface that is exceptionally comfortable underfoot. Its ultra-fine fibers spread out more evenly than other carpets, which prevents crushing and matting, minimizes maintenance and upkeep, and makes Tigressá® durable enough for active households and high-traffic areas. 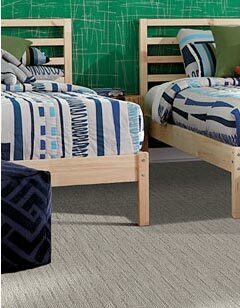 Plus, this carpet is made with eco-friendly materials, so it’s better for the environment – and your home and family. 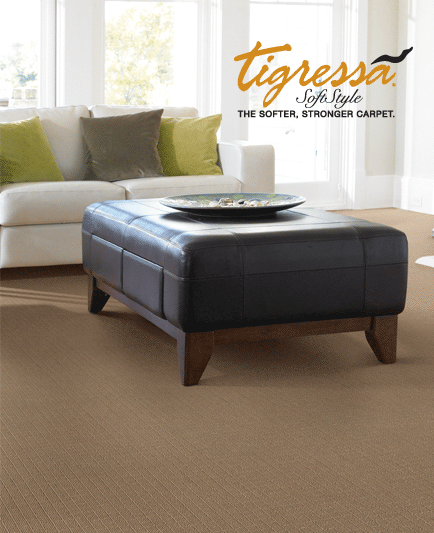 You can have total confidence in your purchase of Tigressá® Carpet, since it’s backed by our unmatched Ultimate Guarantee, covering lifetime installation, stain resistance, wear, and more. Shop our complete Tigressá® Collection to explore a wide variety of colors, textures and styles – available in three distinctive brands. Buy Tigressa With Confidence Flooring America and Flooring Canada offers you total confidence thanks to our industry-leading warranties. Learn more now!